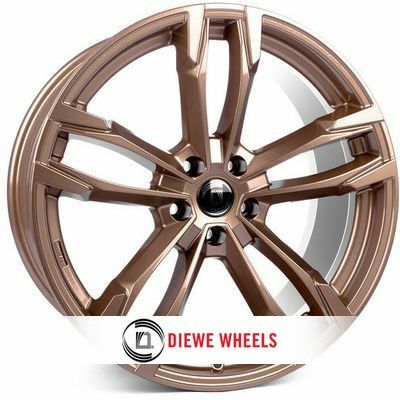 To equip your vehicle with the wheels Diewe Avio, please select your vehicle in the list of compatible vehicles. If your vehicle is not listed, you can search by size. 2. Wheel diameter in inches. 3. PCD : distance in mm between the centre of two diametrically opposite bolts. 4. 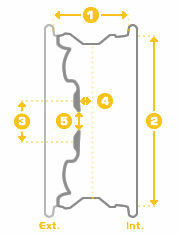 Offset : distance between the centerline of the wheel and the plane of the hub mounting surface. All the vehicles compatible with the rim Diewe Avio are listed below. 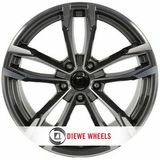 To equip your vehicle with Diewe Avio rims, please select in the list below a vehicle compatible with your own. If you cannot find a match, you can search by size. Unfortunately we have no vehicle compatible with this product.